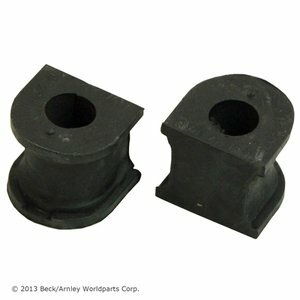 Rubber mounting allows support while remaining flexible. Allows proper performance of stabilizer bar. Cost saving insert design eliminates need for entire component.